Dr Welby Vandrys Loury-Okoumba and Dr Ellsworth Jonathan are the first two doctoral students that were supervised by Professor Joyendu Bhadury, the Dean of the College of Business and Economics at Radford University in the United State of America (USA). 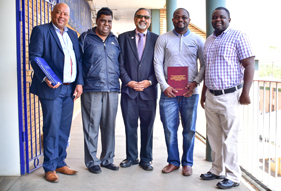 Prof Bhadury said that it had been his long-time dream to come to an African country and be a postgraduate supervisor, and when he then met Prof Chengedzai Mafini from VUT’s Department of Logistics, he was able to realise this dream. He says he regards Prof M Dhurup, the Executive Dean of the Faculty of Management Sciences and Prof C Mafini, the HOD: Logistics as his heroes for their leadership skills and for bringing him to the Vaal University of Technology (VUT) which has provided him with a friendly environment. Prof Joy, as he is affectionately known, joined VUT in 2015 to assist with the supervision of the two students who were pursuing their doctoral studies in logistics. Dr Okoumba and Dr Jonathan recently graduated during the Spring Graduation ceremonies and both shared the same sentiments about the leadership of Prof Joy. “It has been an honour to work with such an ambitious, outspoken man. Prof has been good to us and we managed to finish our D. Techs in record time. We know many people struggle to finish their theses, but through the push of Prof Joy we did it; indeed, he is a very remarkable man,” they said. 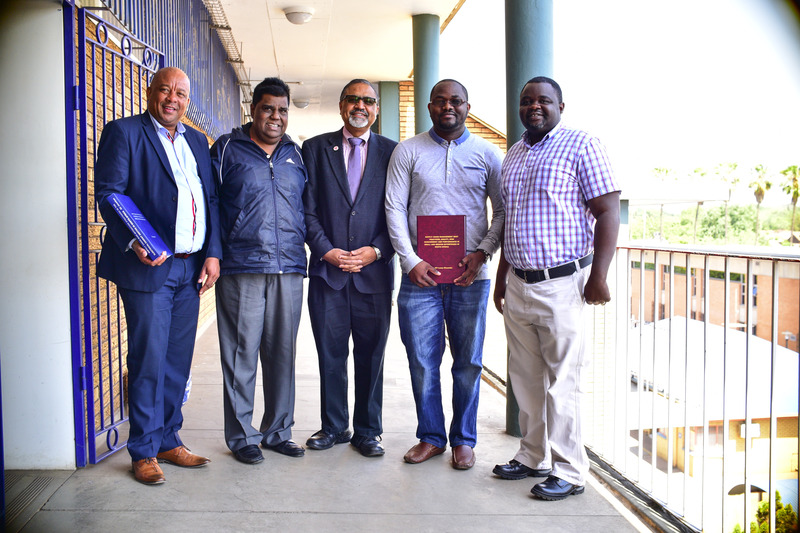 Prof Joy said that it is his wish to maintain the relationship that he has with VUT and extend it further with the faculty of Management Sciences by doing exchanges of knowledge with his home university. No stopping until graduation becomes a reality.